Cholesterol and CHD health talk was held on 17th May 2010 at CHIC. It was given by Shirley He, Nurse Operations Manager to a group of service users in the Medical Class. The importance to avoid fatty food, eat less sugar and salt were stressed. Doing more exercise such as regular walking and Tai Chi and adopting healthy life style were encouraged. The signs and symptoms, risk factors of CHD were explained. 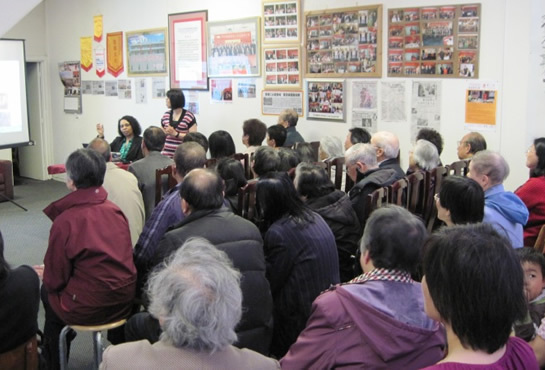 Information about high cholesterol, high blood pressure and healthy diet were given. 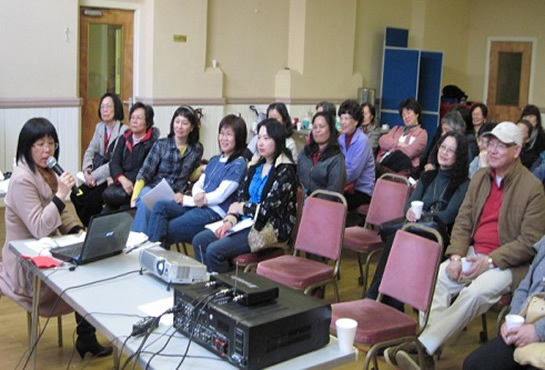 Sum Yin Chinese Women Society Health Day on 11th May 2010, Shirley He was invited to be the main speaker to deliver “Stroke Awareness and Bowel Awareness & NHS Bowel Screening Programme 45 people attended. 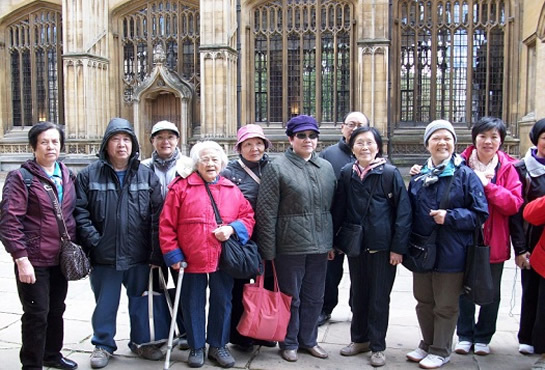 Day Trip to Oxford for the Older People Aged 65+ on 4th May 2010, 50 people took part. 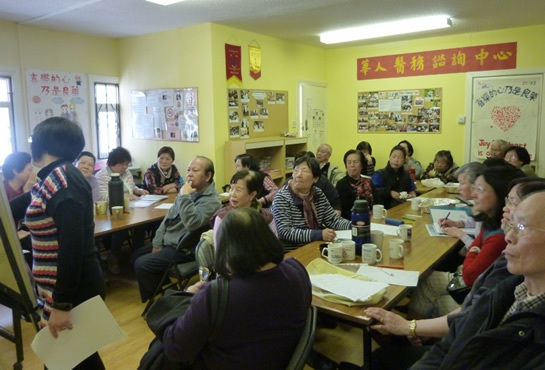 On the 25th April 2010, “Thalassemia” health talk was given in English by Verna Davis(Centre Manager & Lead Haemoglobinopathy Specialist Nurse) at Wu kau Tang Overseas Chinese Association. Interpreting service was provided by Shirley He (Nurse Operations Manager of CHIC). In total 42 people attended. 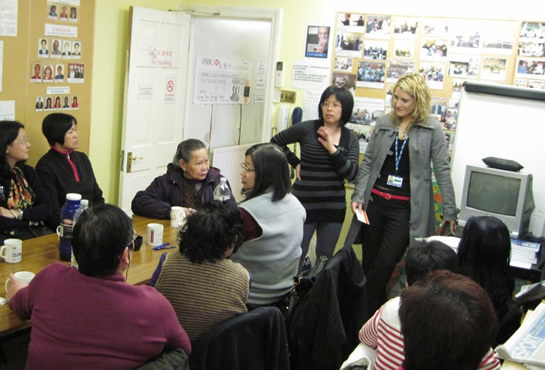 On 19th April 2010 ”NHS Bowel Screening Programme” health talk was given by Tara Davis and Sarah, Project Workers from Manchester Public Health Development Service. Interpreting service was provided by CHIC Shirley He. In total, 26 people attended.